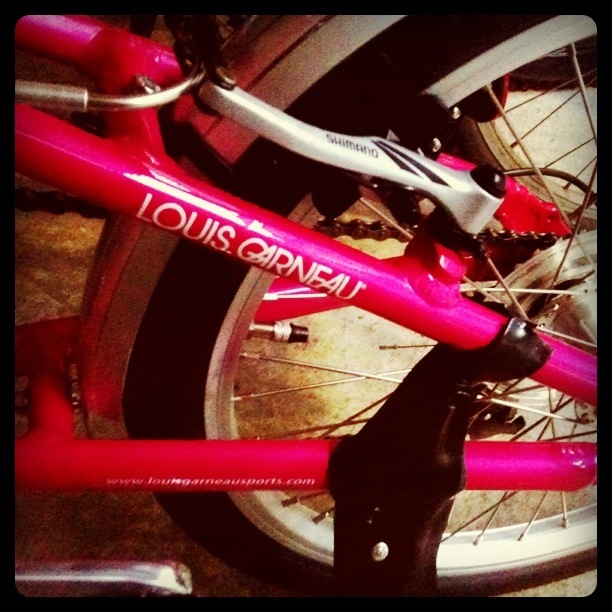 My New Pink Bike – Where is Naoko? Among many things I had been procrastinating about was getting a bike. I had several excuses, but it comes down to making the very best decision seemed so difficult. Now that I just bought my new bike, I don’t really care if I had any better choice or not. The fact is I have a really nice pink bike and I love it. I’ll have to keep reminding myself: always try my best to make the optimal decision and forget the rest. ← Do you Love Mondays? Oh! That’s such a nice way to look at making a decision. Also, best. colour. choice. Ever. Thanks Lori! I’m enjoying my bike ride – in a few days I already found many new things in my neighborhood.